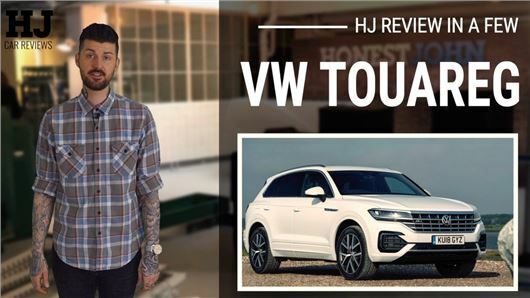 VIDEO: Volkswagen Touareg review - budget Bentayga or extortionate Tiguan? With the Phaeton saloon gone, the Touareg SUV now sits at the top of Volkswagen's range as its most luxurious model, and with a price tag to match - our test car came in at £74,000 with options. Is it really that much better than £35,000 worth of Tiguan? There's deffo a problem with thvideo link. THought it was my laptop till I saw in the comments that others having problems with it loading. Plays great on my HP laptop. So ner ner ne ner ner! Wow...condemn the WHOLE shebang on the basis of this (temporary) glitch, why don't you?...oh, you did that already...anger management class drop-out?. Hi Mark, excellent review (I write as a sometime consumer of premium SUVs), and as ever I find your style amusing and yet informative. Thanks! Still a vw that will probably turn out to be unreliable!